Silicon Valley Aftershocks want more punishment. Flyin’ Fish plan to Bring It! Forbes: Tell us about this year’s Woz Cup in Germany. Did you expect the team from Barbados to beat you? 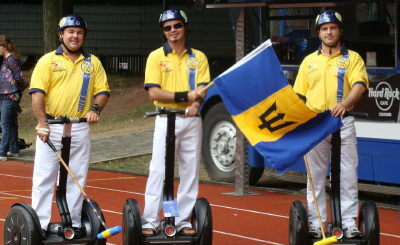 Steve Wozniak: We thought Barbados would be kind of like the Jamaican bobsled team. We really respected the German team; we heard the Austrians were very good, too. We went in thinking we have a chance to win. And luck was actually with us. We lost one match to Austria. We made it to the finals and Barbados … well, the first time we watched them, we acknowledged that they were very good. They could hit that shot good and fast, like a soccer shot. Oh, Woz… I guess you didn’t know that Barbados and polo is like flying fish & cou cou. We gon take our cou cou sticks and… well, we’ll be ready for you again friend! Hmmmmm… So Steve likes a drink once in a while. Yup… I see a plan coming! Here is the Flyin’ Fish victory plan! Chris Breedy promises free pre-match drinks for Silicon Valley Aftershocks at Mount Gay. Good plan, Chris! 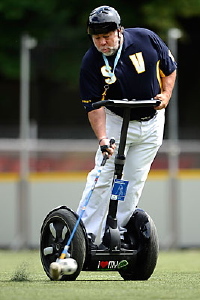 When Woz and his team arrives, we show them a real good time when they’re not practicing. Everybody make them very welcome, show them around the island and take them on some tours. Make them feel appreciated and happy as they should in a friendly place like Bim. Let them sample some of our finest rum. Maybe a Banks Beer or eight or ten too! 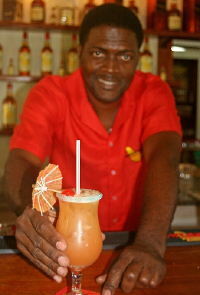 Then a glass or three of “special” rum punch that you’ll find on some of the boats out of Bridgetown. Yup. Be real friendly to our guests from Silicon Valley for the two days leading up to the opening match. Keep Woz and his team happy. Real happy. That’s the plan and if Mount Gay is still sponsoring the Flyin’ Fish as they did last year, it should be no problem. 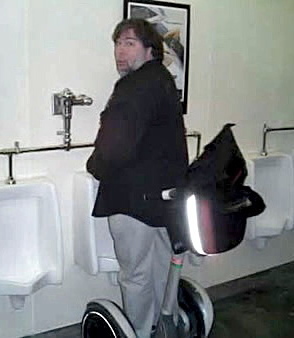 Like Shona say, all is fair in love and Segway Polo! Wall Street Journal May 6, 2010: Aftershocks Prep for Rematch After Big Upset, but Will Wozniak Make the Trip? 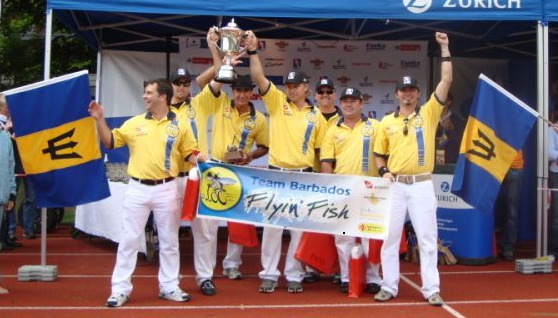 We haven’t heard how the team did on Saturday and we can’t find anything on the net except the Friday results – so maybe a reader can tell us how the Flyin’ Fish are doing at the World Segway Polo Championships.